Honoree to be Announced Soon. Please join us for burgers, hot dogs and cold beverages. Activities for all family members. All reunion classes will gather together for cocktails, food stations amd music. University School is 128 years old and boasts a total of nearly 5,500 living alumni throughout the world. All alumni belong to the University School Alumni Association whose primary mission is to connect and foster enduring relationships within the alumni community and the school. We encourage you to explore our alumni web pages. Here you’ll find information on upcoming events, including Reunion Weekend; ways to network and stay connected with other alumni; and job opportunities. You may also easily update your contact information or submit a class note. Please don’t hesitate to reach out to the Alumni Office at alumni@us.edu should you need further assistance. University School alumni live by the motto “Responsibility, Loyalty, Consideration.” We are proud of our heritage and value the skills, knowledge and camaraderie developed throughout our years at the school. Here is a small sampling of our notable alumni. Chris Rose ’89 – Host and sportscaster for the MLB Network and NFL Network. Orin Wolf '97 – Broadway Producer and Tony Award winner for "The Band's Visit"
Please Submit a Class Note! New job, recently married, new father, exciting adventure or an update on what you're doing - we want to hear from you! Please email alumni@us.edu with any news about yourself or classmate. We will include the announcement of your exciting news in the US Journal and on our social media outlets. Photos are welcomed and highly encouraged! The Best Way to Connect with US! US is proud to announce our partnership with Alumnifire, an online professional networking and mentoring tool for our alumni to exchange industry expertise and career advice. 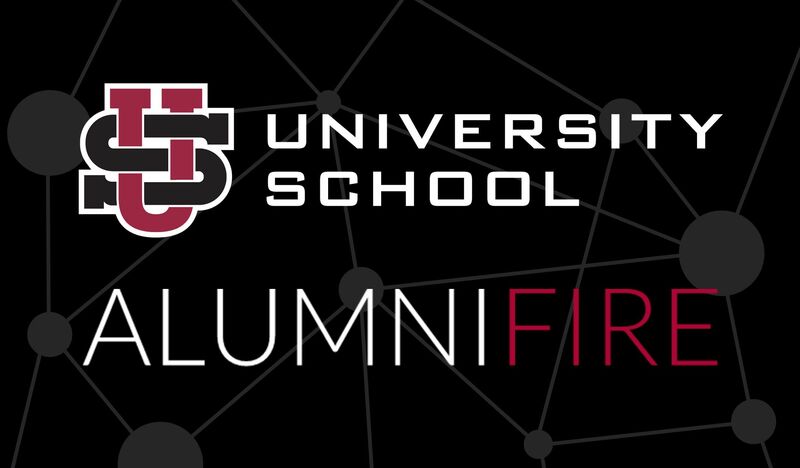 Alumnifire will help connect you with other US alumni from across the globe! Sign up today by clicking on the image above!